The 1960s was a time of revolution. Not only were radial changes being made in society and politics, but the culture of fashion was also affected, which led to the creation of a new style that is still worn even today. 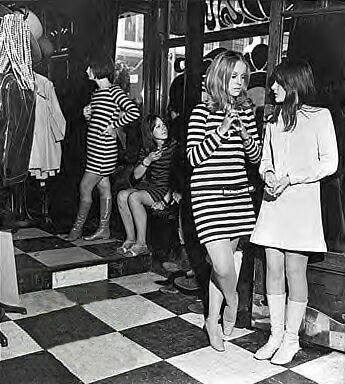 Mod, which comes from the word Modernist, appeared mostly in London, England and was just as much a fashion statement as it was a culture. British fashion designer and icon, Mary Quant, was instrumental in the making of the mod movement, declaring, “Fashion is not frivolous. It is a part of being alive today”. One of the most popular garments worn was the ever-famous miniskirt. Until this time, the majority of skirts ended at the knee line. But with the introduction of the mini, hemlines began to rise, exposing inches of thigh that had never been shown before. Other popular pieces included the shift dress, structured knits, knee-high boots and for fall, swing coats and capes. Much of the clothing was slim fitting, had clean lines and featured bold geometric shapes, graphic prints and bright block colors. The 1960s was also a time when unisex clothing became popular. Both girls and boys wore denim jeans and cut their hair into a short boyish style. For men, mod gear included, a smart suit with narrow lapels, tapered trousers and a slim tie. Sometimes even entire suits were made of colorful and bold patterns such as stripes or paisley. The way the fashion industry looked at body image was also changing. Gone were the days when curves and voluptuous models graced the magazine covers. Instead, a new boyish image was recognized, where skinny frames and narrow hips became the ideal. Twiggy, who was dubbed “The Face of 1966” was blessed with boyish figure everyone desired. 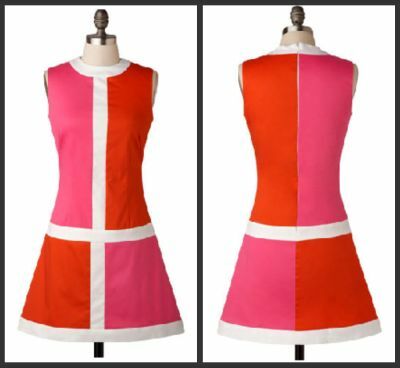 Each year, in some way or another, 60s fashion is incorporated into new collections. 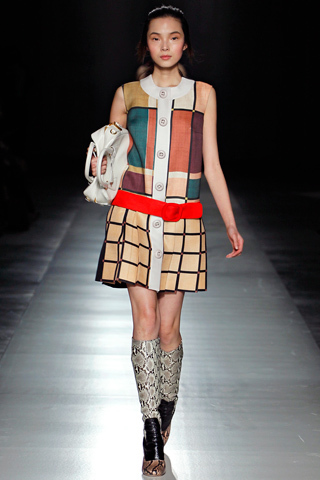 Just last year brands such as Prada, Celine, and Yves Saint Laurent launched, their Fall 2011 collections, which featured many pieces inspired by mod fashion. A-list celebrities have also been seen sporting the look, including Victoria Beckham who has developed a signature style with a consistent thread of ’60s charm. In the end, it is clear that mod is here to stay and will continue to grace us with its presence in the fashion world for years to come.